Its been a while since I've posted anything here. So here's a recipe mastered by my husband and daughter. Its easy to cook and yes, very tasty. Marinade the lollipops in salt and lime juice for about half an hour. Heat a pan and let the butter melt. Add jeera powder and green chillis split in half. Add chicken and fry it till its perfectly cooked. Squeeze some lemon over the lollipops and serve with onion rings. 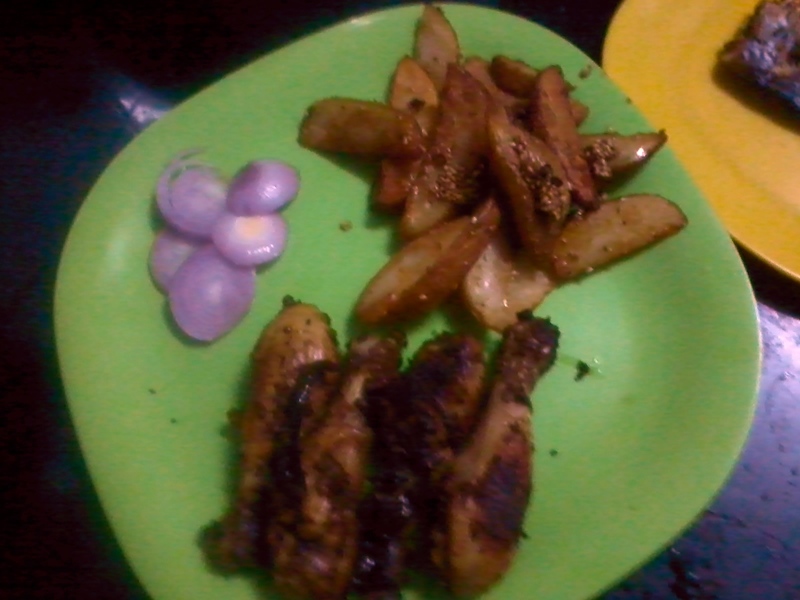 Fry the wedges, roast sesame seeds and mix them together. Drizzle honey over the wedges and they are ready to be gobbled down.